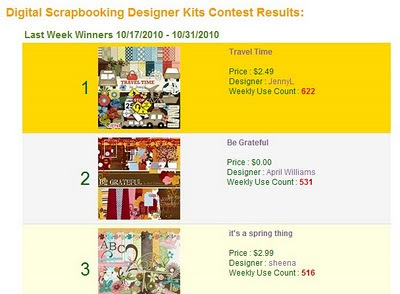 Teeheee.. my digital scrapbooking kit TRAVEL TIME entry won 1st place at Artscow Digital Scrapbooking Designer Kits B-Weekly Contest. It earned me $100, yey! Now that the contest is finished, I can take out my stress by soaking in one of those jacuzzi tubs, that is if I own one. I can't help but to feel pressured when I'm joining the contest because there are times that I'm not sure if the customers like my design. Thankfully, I have won 1st- 3rd places every time I join. Sadly, I don't have an entry for this week as I have no time to make some new designs because of my online works. I hope I can have extra time to make another kit so that I can join once again. 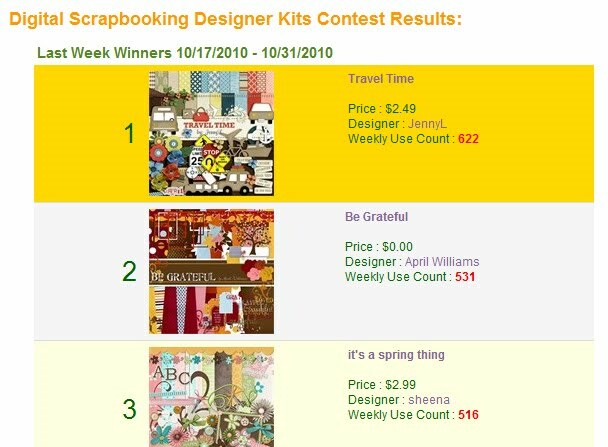 I'm thanking Artscow for it is giving me another extra income, aside from the daily sales that I'm getting from templates that I made there. Check out my FREE ARTSCOW TEMPLATES. All you need to do is put your photos there and it's ready to be printed at artscow.